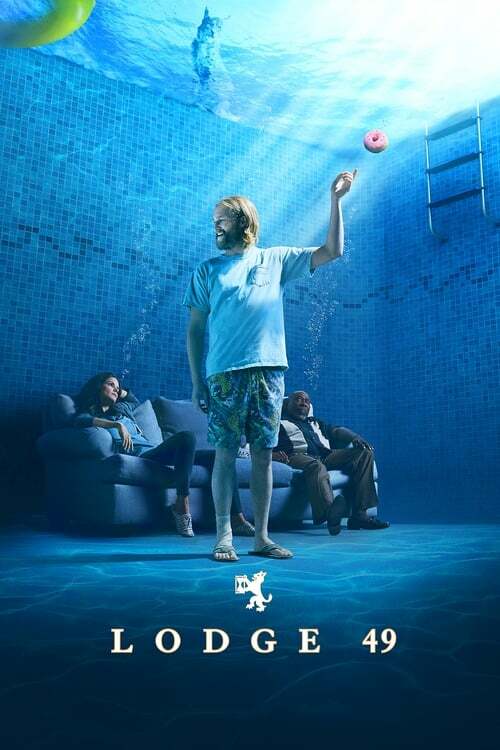 Description: Dud is deposited by fate at the doorstep of Lodge 49, a fraternal order which offers cheap beer and strange alchemical philosophies. Description: The Lodge's fate hangs in limbo. Dud resigns himself to a new path. Liz reaches her breaking point. Description: Dud becomes acquainted with the Lodge. Ernie battles with his fellow Lynx. Description: Liz and Dud hold a memorial for their father. Ernie and Connie spend the weekend together. Description: Dud and Ernie venture out on a mission in the kingdom of Long Beach. Liz spends her day off at work. Description: Dud's new relationship goes well. Ernie prepares for the Sovereign Protector ceremony. Description: Larry divulges the secrets of the Lodge to Ernie, while Dud makes an unusual discovery. Description: A new visitor arrives at the Lodge with some troubling news. Description: Dud and Ernie accompany Captain on a journey into the night. Liz attempts to climb the corporate ladder. Description: Band Night at the Lodge. Dud and Ernie are eager to close a deal with Captain, but all may not be what it seems.